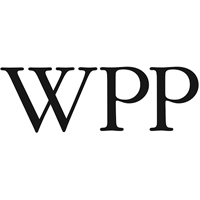 Stock in WPP PLC with ticker code: LON:WPP has moved down -8.08% or -70.6 points throughout today’s trading session so far. Sellers aired on the negative side during this period. Range high for the period has seen 848 meanwhile the session low reached 797.6. The amount of shares exchanged has so far reached 4,011,568 while the average shares exchanged is 3,392,368. A 52 week high for the stock is 1474.25 around 600.65 points difference from the previous days close and the 52 week low at 797.6 is a variance of 76 points. WPP PLC now has a 20 SMA of 884.92 and now the 50 day moving average at 876.37. The current market capitalisation is £10,132.44m at the time of this report. The share price is in Great British pence. Mcap is measured in GBP. This article was written with the last trade for WPP PLC being recorded at Thursday, February 7, 2019 at 11:59:38 AM GMT with the stock price trading at 803 GBX. Shares of The Sage Group plc ticker code: LON:SGE has dropped -1.84% or -12.06 points during today’s session so far. Sellers did not seem confident throughout the session. The periods high has already touched 646.8 while the low for the session was 640.4. The number of shares traded by this point in time totalled 521,108 with the daily average traded share volume around 3,429,042. The 52 week high for the shares is 717.2 amounting to 61.8 points different to the previous business close and a 52 week low sitting at 491.3 a difference of some 164.1 points. The Sage Group plc now has a 20 SMA of 631.66 and the 50 day simple moving average now of 613.37. This puts the market cap at £6,985.00m at the time of this report. The stock is traded in GBX. Mcap is measured in GBP. This article was written with the last trade for The Sage Group plc being recorded at Thursday, February 7, 2019 at 11:59:26 AM GMT with the stock price trading at 643.34 GBX. 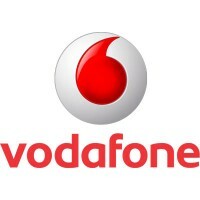 Shares of Vodafone Group plc with company EPIC: LON:VOD has decreased -2.28% or -3.24 points during today’s session so far. Investors aired on the negative side during the session. Range high for the period so far is 141.81 and a low of 138.84. The total volume traded so far comes to 29,247,022 with the daily average number around 81,150,213. The 52 week high is 214.6 which comes in at 72.2 points difference from the previous close and the 52 week low at 133.48 which is a difference of 8.920 points. Vodafone Group plc now has a 20 SMA at 146.41 and the 50 day moving average at 155.13. Market capitalisation for the company is £37,184.10m at the time of this report. The currency for this stock is Great British pence.Market cap is measured in GBP. This article was written with the last trade for Vodafone Group plc being recorded at Thursday, February 7, 2019 at 11:59:51 AM GMT with the stock price trading at 139.16 GBX. Click SGE VOD WPP for the full archive.